Hello, lovelies! So, it's been ages since my last style post taken on our roof deck. I got surprised to see these plants. It gives an extratropical vibe I must say. I like it! I hope the plants grow well. To whoever that put these plants in here, thank you for giving my usual backdrop a pop. Today, I am featuring GAMISS with this summer dress that they sent over some weeks ago already. Just click the photo below or the link below to see more photos and outfit details. 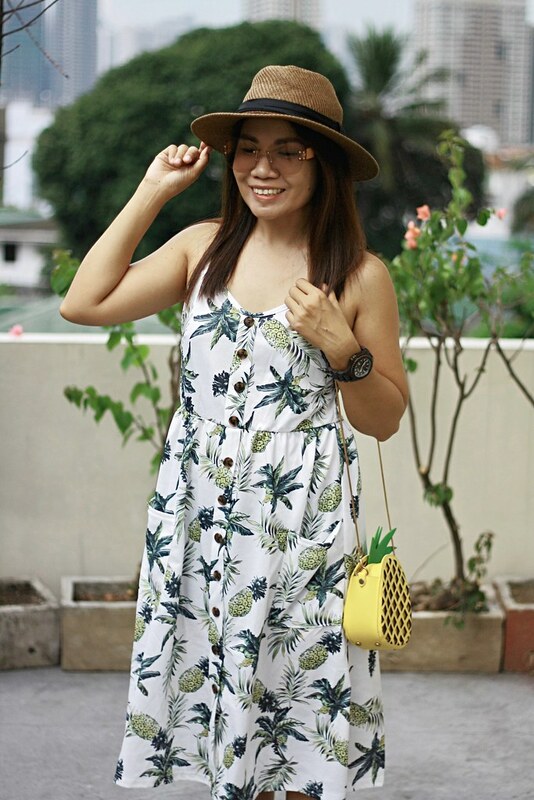 And because it's summer already, I started ordering summer pieces like this pineapple spaghetti strap printed dress. 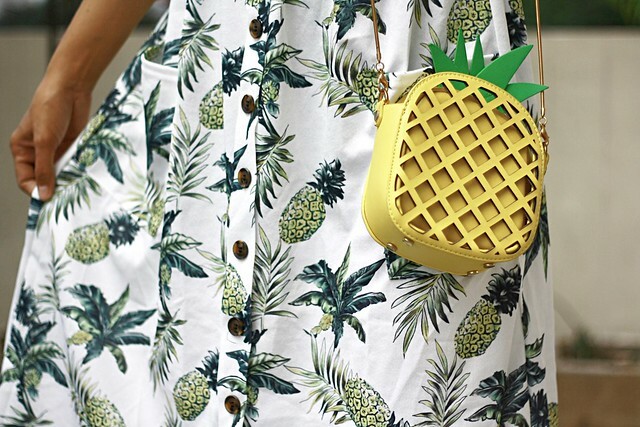 The pineapple printed on the dress screams freshness and thirst quenching. I love it! This dress has 2 front pockets and the back side is purely elastic. The size is in Medium. The material is light, so perfect for the season. By the way, the buttons you see are just for design. Well, I wished it can be open though. It's great to have open buttons a two or three for some wind effect. Overall, it's a great buy.